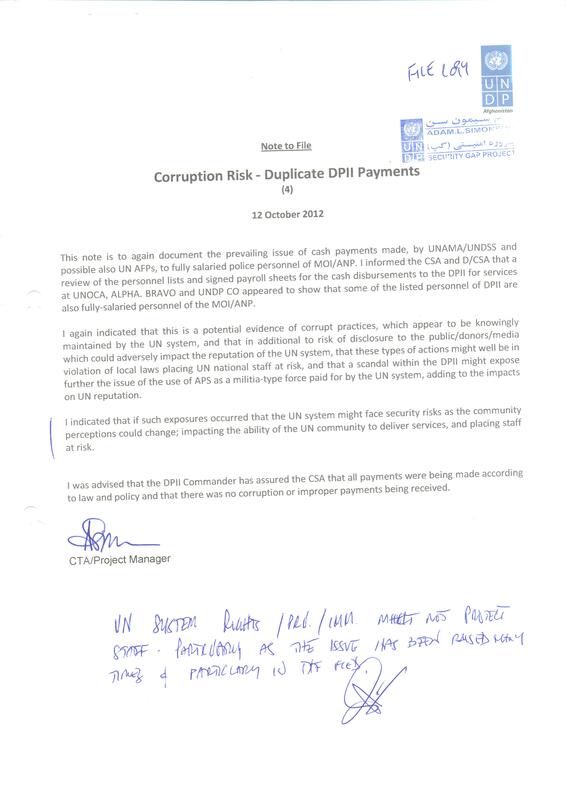 UNITED NATIONS, August 7 – Following up on Inner City Press exclusive publication of UN Development Program audits of its Law and Order Trust Fund Afghanistan, including double payments and other irregularities, whistleblowers have exclusively provided Inner City Press with more damning documents. 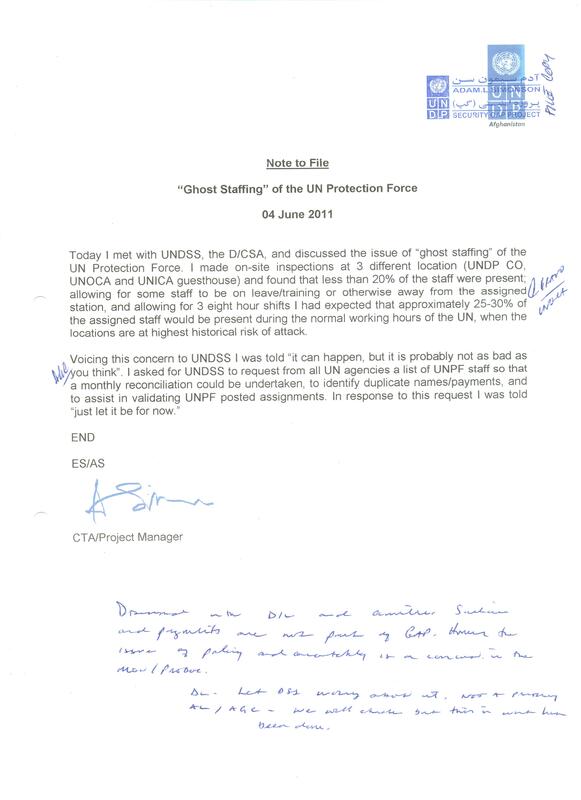 Today's third document, exclusively published here, concerns "'Ghost Staffing' at the UN Protective Force," about which the UN Department of Safety and Security said, "Just let it be for now." Click here to view. More than 48 hours later -- no answers. 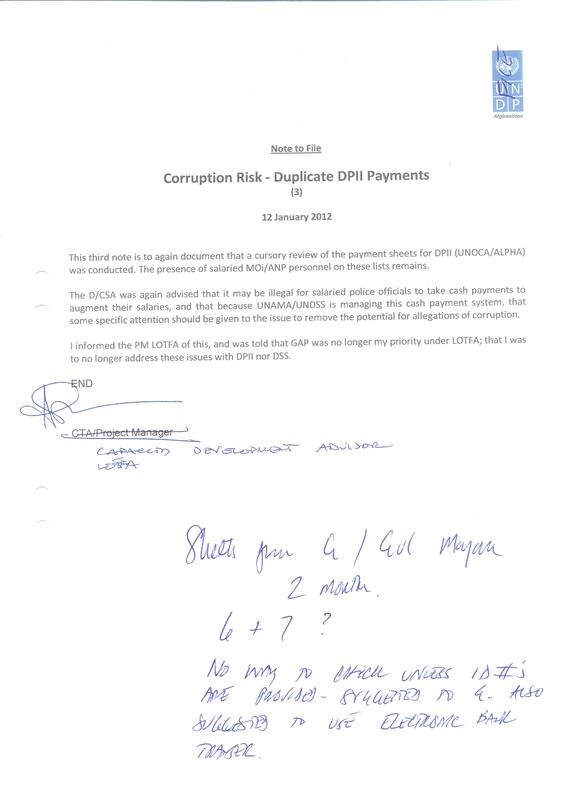 Inner City Press exclusively published the second document, here: about payments by UNAMA / UNDSS to fully salaried Afghan forces. Click here.